Western Register Point of Sale lets you accept credit and debit card payments wherever you do business. 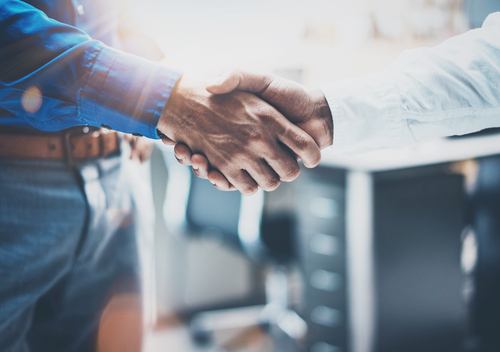 Whether you are on the go or at your place of business, you can accept payments in the most streamlined and easiest way possible. Send receipts by text or email to your customers in one tap. For future reference, look up existing orders, or existing customers. Western Register lets you accept all major credit cards with latest EMV chip and pin processing. You can easily track and manage every aspect of your business and every transaction. Your system can be setup in minutes, and customers can place orders even faster. Western Register lets you conduct secure payment transactions using the most current and advanced EMV standards. We also offer chargeback protection guarantee, an industry leading feature. If you get a charge-back, it's on us. 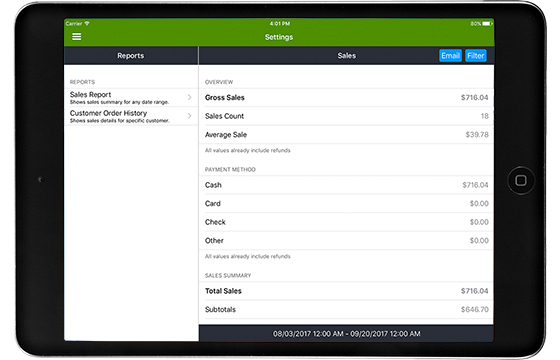 Western Register also lets you keep track of your orders and transactions so you can stay current with your financials. You can sell weighted items with Western Register, track how many items you have in your inventory, record your clients in a client database, and email digital receipts. We make credit card processing simple. Accept Visa, Mastercard, Discover, and American Express all for lowest rates in the industry, with no surprise fees. We also offer chargeback protection so you have one less thing to worry about. Works on both Apple and Android devices. 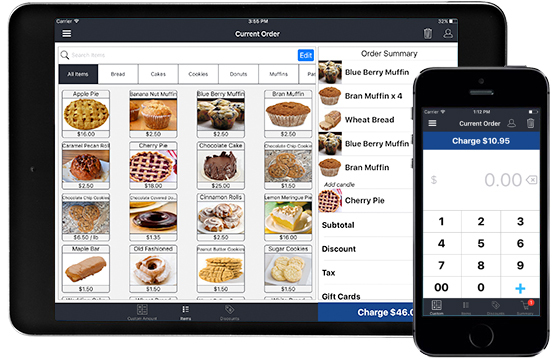 Take orders on your iPad, iPhone, Android phone or Android tablet anywhere. Connect as many users and stations as you like. 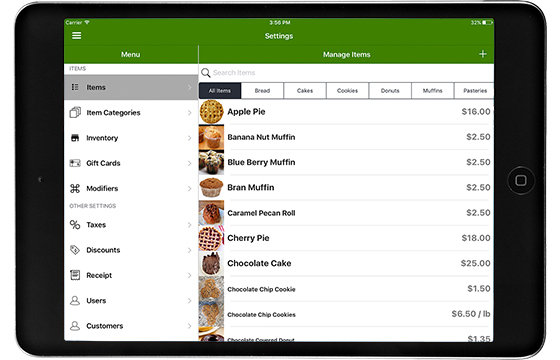 Manage all order details like names, quantities or prices quickly and easily from the app or dashboard. Free real time inventory management you can count on. 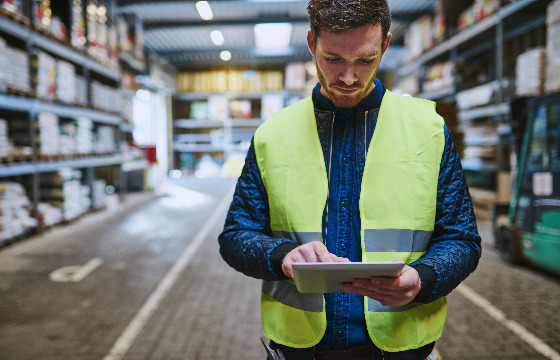 Our Inventory management is designed to help you spend less time in front of the screen and more time with your customers and is fully integrated with barcode scanning when you receive new shipments. We know that not every business is the same. And because of that, Western Register provides you with full easy to use customization. Add modifiers, discounts, flexible pricing, upsells, and much much more. There are many options that will allow you to sell easier and boost your revenues. As a business you need to know how your business is doing. Our reporting system provides you an insight into your business so you can get the answers you need. Easily create a report on various information you need, and email yourself or your account the report. Our system also provides you with an export to accounting software so you don't have to manually track all the tax information, it's all available in one tap. 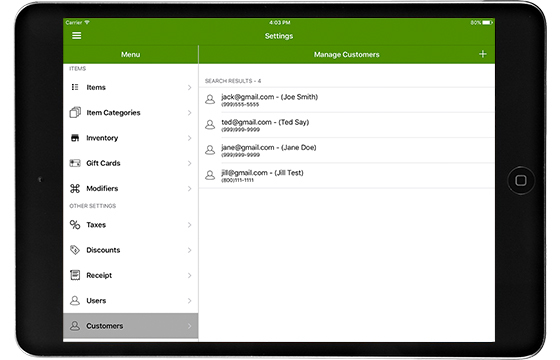 Customers can choose digital receipts by email, text message, and also printed receipts. You have the ability to print all receipts for your customers. 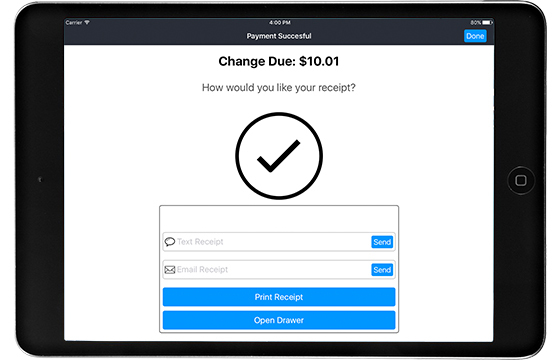 Receipts are fully customizable to your business needs. Keep track of detailed customer information. Keep notes, run reports and analyze customer purchasing behavior. All hardware can be bundled or customized. The Star mPOP™ is a unique combined receipt printer and cash drawer, simple and elegant, yet loaded with intuitive design features. At just 10cm high and 30cm wide, the mPOP™ is easily transportable and offers a contemporary alternative to a traditional cash register. The mPOP can be easily secured on any counter top or or can be fixed under the counter. This retail specific scanner lets you scan barcodes printed on labels or on device screens quickly and efficiently. These printers can work via LAN or Bluetooth. Receipts can be customized and print quickly. We have various Cash Drawers in various sizes to meet any business needs. Simple and lightweight. 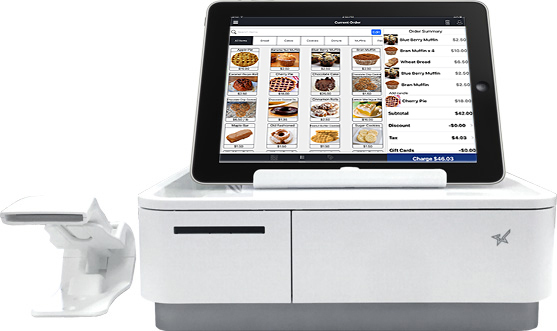 Effortlessly use your iPad to process customer card payments. The beautifully designed D200 streamlines payment into a unique personal program, and you can now take all your value-added applications on the D200 to provide a high-tech and user-friendly customer interaction point. 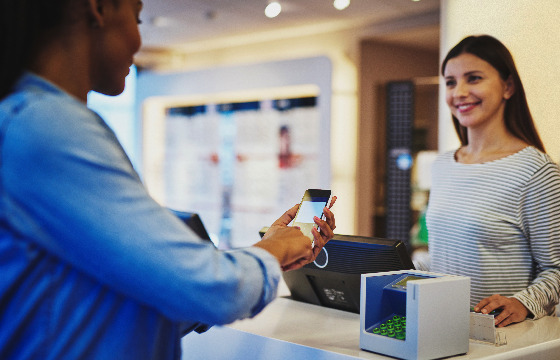 Ensuring transactional security with PCI PTS 4.x certification, the D210 streamlines payment transactions and enables merchants to offer value-added services and provide a provide a high-tech and user-friendly customer interaction. Start selling with Western Register today. A simple to use point of sale solution, customized to your needs.